My new article on Prohealth is about learning to relate differently to the inevitable ups and downs of life with chronic illness, through letting go, drawing on the inner strength all spoonies cultivate, and beginning again. Watching my goals, plans, and self-care routines careen out of control is sometimes harder for me to accept than the symptoms that come with a flare-up. 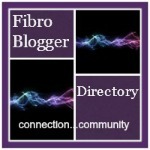 Maybe it’s because I have always been a control freak, but the sense of helplessness, frustration and self-doubt that accompanies this situation is one of the most difficult aspects of living with fibromyalgia for me. This time, as I was venting about how it felt like my daily life had come tumbling down like a house of cards, a question occurred to me: What if the problem isn’t a failure to control or manage my schedule during a flare-up, but a failure to understand that living with chronic illness inevitably involves ups and downs?